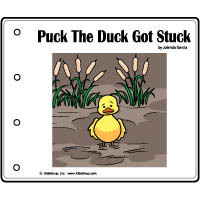 One Duck Stuck, 10 Little Rubber Ducks. 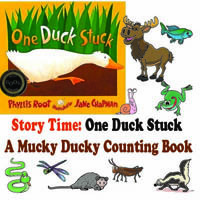 Children will love the rhyming, rollicking fun of the story One Duck Stuck about a hapless duck stuck in the mud who calls out to other animals that share his marshland home; "Help! Help! Who can help?" he asks. 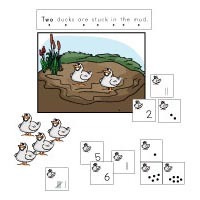 Our related resources incorporates math and rhyming, a lesson and ideas about cooperation, animal vocabulary, muck science, and the short u sound are the focus of additional activities, crafts, rhymes, and games. 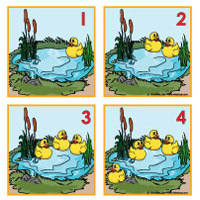 Show children a picture of a male, a female, and ducklings. 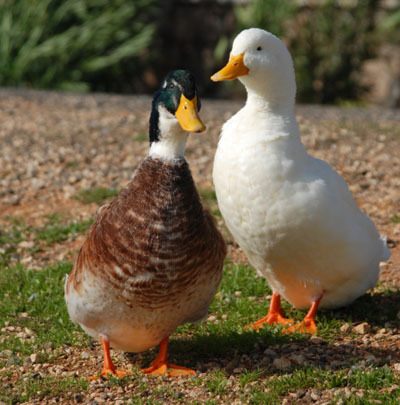 Explain to children that the male duck is called a drake. 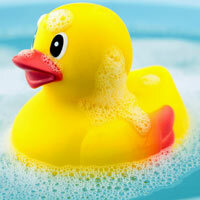 A female is called a duck, and the babies are called (let children guess) yes, ducklings. 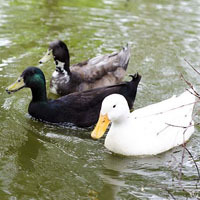 In the spring the femail duck lays ten to fourteen eggs and broods them patiently for about four weeks until the ducklings hatch. 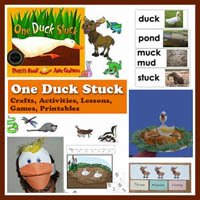 How do Ducks look like? 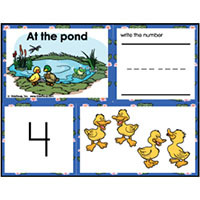 Ducks have webbed feet, great for swimming. The ducks body parts are: bill, wing, webbed feet, and feathers. 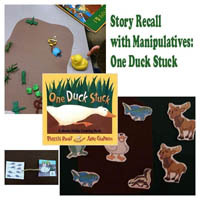 Let children point out the parts on the duck pictures. 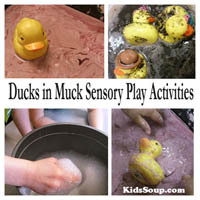 Place pictures of the ducks body part inside a paper bag. 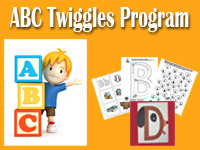 Children take turns standing in front of the group and pulling out a card from the bag. 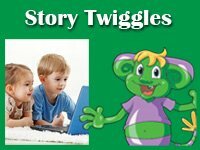 The child gives clues on the body part until the children are guessing it. 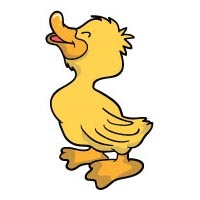 When they guessed it right the card gets revealed and all childen say,"quack, quack, quack!" 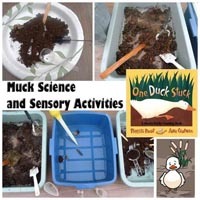 Ducks eat tadpoles, worms, snails, and plants they find in the water. 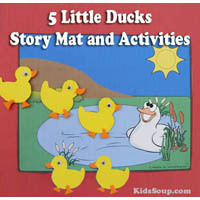 Cut out 10 ducklings out of yellow felt or craft foam and let children re-tell the story on the felt board. 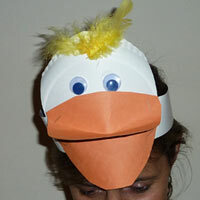 Cut out a ducks out of craft foam. Cut a sponge into small pieces (bread). 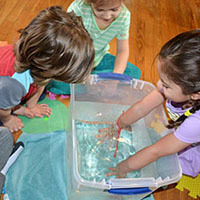 Place the sponge pieces inside a small container with water. 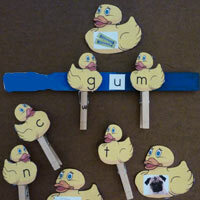 Let children use clothespins to pick the bread out of the water and feed them to the duck. Children sitting in a circle. 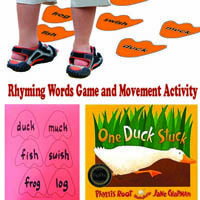 One child walks around the circle touching each child on the shoulder saying, "Duck, duck..." One one child he/she says "Goose." 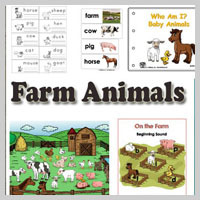 That child gets up and chases the other around the circle back to his/her spot. The first child sits down. 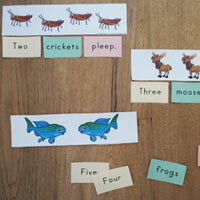 The second child begins the game again. 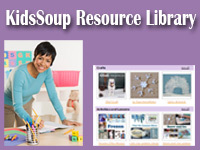 Cover the floor with a plastic and place a large piece of brown wrapping paper on the floor. Draw a horizontal line 3/4 up from the bottom of the paper. 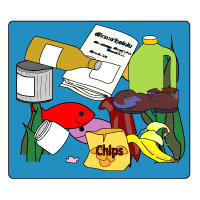 Provide children with paper plates with blobs of blue, green, and a little white paint. 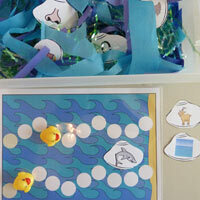 Let children mix the the colors with their paint brush and paint the bottom part of the paper blue. 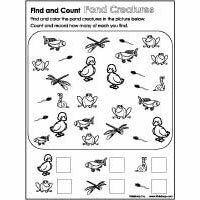 Use the duck pattern to trace a duck shape on to yellow and white craft paper and let children cut out the ducks and glue to the mural. 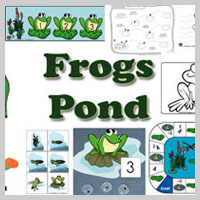 Use some green craft or crepe paper to create some pond plants. 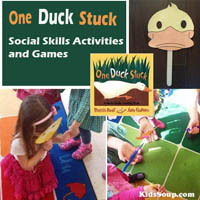 Use a kiddi pool and place some plush toy ducks or rubber duckies, and some plastic fish and frogs inside. 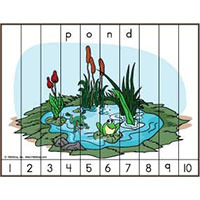 Place some plants around the "pond."